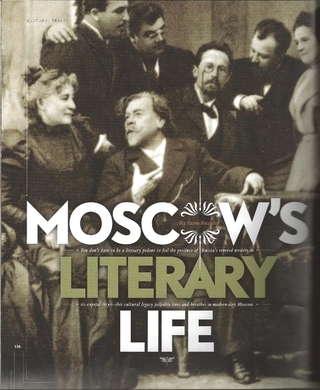 He was the most famous man in Russia, the author of War and Peace, whose ornate life traversed a complex path from lustful aristocrat to spiritual leader. By 1882, the last thing 54-year-old Leo Nikolayevich Tolstoy wanted was to live in Moscow and join his wife Sonya at fancy soirees. In a capital city defined by its grand scale and lively society, Tolstoy sought simplicity and quiet. A century after his death, the presence of Tolstoy and his family is touchingly evoked by the personal effects in room after room. Tolstoy took up bike riding when he was 67. He cobbled his own black leather boots. He wrote and recorded a waltz. As his eyesight worsened, he shortened the legs of his desk chair so he would be closer to his manuscripts. Visitors can see Sonya's finely stitched party dresses, the children's ice skates and the upstairs dining table set for soup.